The actress by Kuri333 Rated: M [Reviews - 5] 4 New! Honey, you don’t have a ton of offers piling up under your name. I’ve seen you act, you’re not terribly bad, but you need people to see that. You need to be known. You need to make some money so you’ll stop serving coffee. And this is your chance, ok? Disclaimer: I don't own any characters or places you recognize. I don't even own Clare, since she's based on 3 real people I know. Sorry not sorry. In Reverse by princess-nincompoop Rated: T [Reviews - 7] 13 New! Summary: What would happen if the events of Casino Night took place during Season 3? Basically, Jim never confesses to Pam in the Season 2 finale but moves to Stamford anyway. It’ll be a wild ride. Hello My Old Heart by Duchess Cupcake Rated: M [Reviews - 23] 23 New! Moving on? by Lizby Rated: MA [Reviews - 19] 13 New! Summary: It was in that moment that she realized that he had truly moved on. That Jim Halpert didn't love her anymore. Which also led her to another realization, it was time for her to move on as well. Season 3 AU, set after Ben Franklin. Wishin' and Hopin' by Coley Rated: M [Reviews - 7] 9 New! Summary: Okay so she made a wish. It wasn't like she actually expected it to ever come true. Office Space by Comfect Rated: T [Reviews - 48] 25 New! Summary: A science-fictional take on JAM. The Office staff are the crew of the DM Scranton, a cryogenic colony ship on its way to the stars. Starts in the AU equivalent of Casino Night. Stilettos and Broken Bottles (Spinning Around in Circles) by Coley Rated: MA [Reviews - 17] 20 New! The summer she calls off her wedding, she spins a little bit out of control. An AU that could be considered canon if you drink enough wine and squint your eyes just so. Ruin the Friendship by Duchess Cupcake Rated: MA [Reviews - 46] 46 New! A Will They or Won't They AU with Pam and Jim as next door neighbors. “Pam, come on. Don’t do that.” The sound of his bare feet on the wooden floor following behind kept me in motion through the dining room, looking under chairs for my sandals. I summoned everything I had in me not to look at him in his currently half-dressed state. I’m just in love with you and you only want to be friendly neighbors. And, also, since I’m being honest with myself, my body is not loving the unsated high of being as aroused as I just felt with your hands on me like that. Beyond the Horizon by agian18 Rated: M [Reviews - 36] 25 New! When the secrets of one employee cost the others twelve hours of peril, locked in the office under a hostage situation, true colors begin to shine through. Slow by agian18 Rated: MA [Reviews - 71] 78 New! 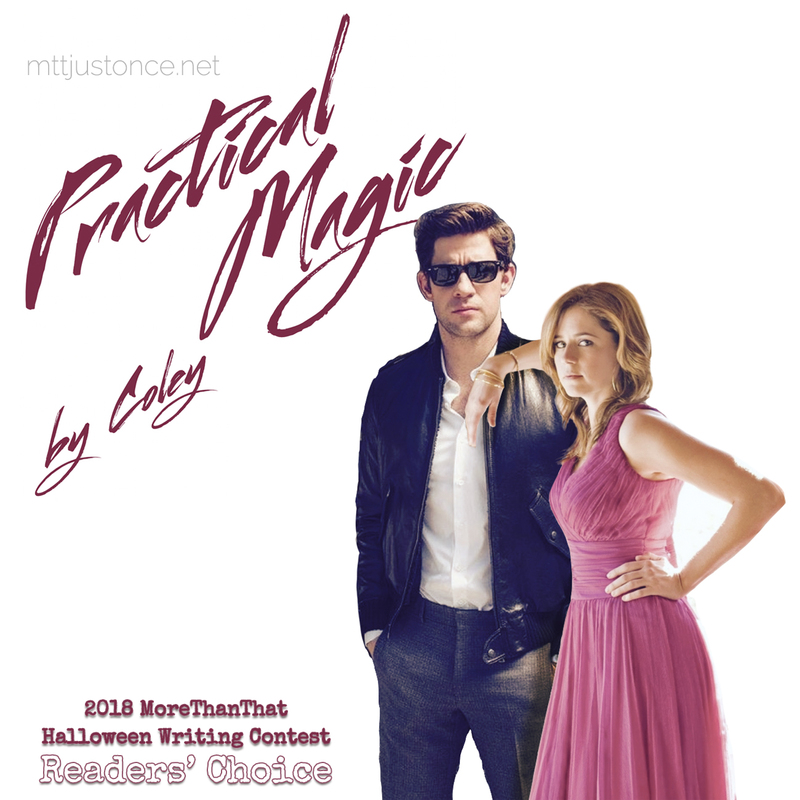 Unwrapped by Coley Rated: MA [Reviews - 41] 50 New! Jim and Pam, a snowstorm, and a bottle of tequila. Could a Christmas miracle finally force these two to be honest with each other? Takes place immediately following A Benihana Christmas. Christmas Visitors by Duchess Cupcake Rated: M [Reviews - 22] 18 New! Jim is visited by the Ghosts of Christmas Past, Christmas Present, and Christmas Yet-to-Be. Because I watch too much A Christmas Carol and It's a Wonderful Life every December. Set during "Dwight Christmas" in Season 9 for the 2018 Secret Santa Fic Exchange. I own nothing here. Concepts and characters go to Greg Daniels, Charles Dickens, and Frank Capra. The Romantic History of Jim Halpert by SprinklesTheCat Rated: MA [Reviews - 10] 9 New! Pam and Jim just started dating, and Pam’s curious about Jim’s romantic past. He pretty much knows all about hers, such as it is, so it seems only fair. Here's a Hypothetical by Mel Like Mellow Rated: T [Reviews - 82] 39 New! Summary: "If I thought that Pam was interested..."
What would happen if Pam's courage from Beach Games sprouted a little bit earlier? Say... at Phyllis' wedding? Jim and Pam, Hallmark(tm) movie style. Set in the S2 Christmas break (after the Christmas party, before the Booze Cruise). Canon-compliant until then, though with my own interpretation of how that break went, but it's a Hallmark Christmas movie so we all know how it's going to end. For the 2018 Secret Santa fiction exchange. What will Pam and Jim take to remember the other when Jim goes to Stamford? And who will influence their separation along the way? And why am I feeling the need for some angsty-ness? Summary: Jim brings Pam home for Thanksgiving. It's been a while since Pam's been on a date. Good thing Jim's there talks her through her first few attempts. Summary: Jim calls in sick to work.